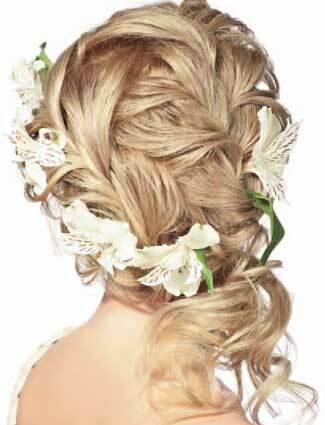 Hair: Svetlana Hegai The zigzag part is the start for a perfectly curled, then loosely plaited special occasion do. 1. Make a zigzag parting 4-5 cm from the frontal hairline. In this separated section, make a side parting. 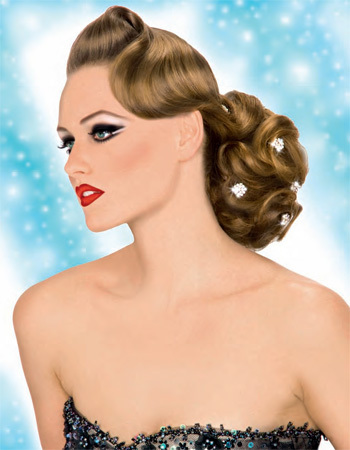 Wind the hair on each side of the parting on hair rollers outward,using Trend Set by Sp. 2-4. 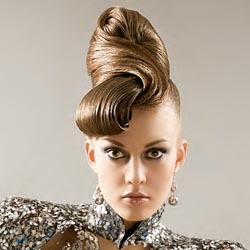 Wind the rest of the hair using rollers of two different diameters as on a chess-board. 4-5. Cut the occipital area, continuing the line from the sides. Divide locks with diagonal partings and lift them a bit while cutting. Check the haircut. 5-6. Split all the hair into two parts with a diagonal zigzag parting. 7. Slightly backcomb the hair close to the roots. 8-10. Braid all the hair in two loose plaits following the diagonal separation. 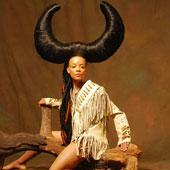 Decorate the hair.